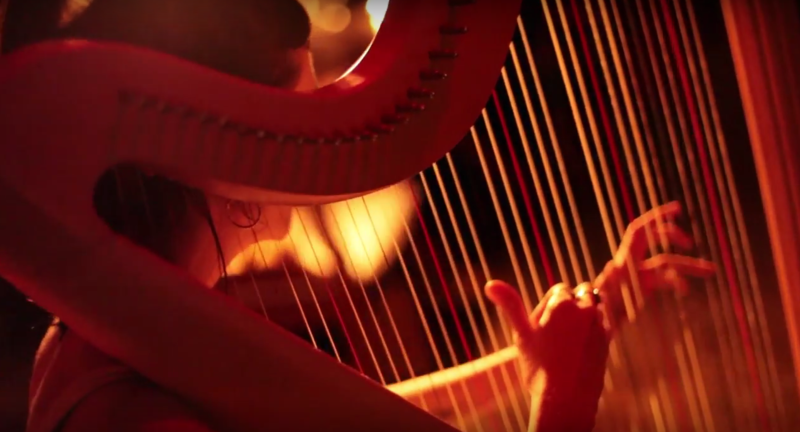 Our friends at THRDCOAST recently premiered a new music video from experimental violin/harp duo LEYA. “Cats,” directed by Corbin Ordel, creates a stunning and intimate setting for LEYA’s unique, otherworldly sound. Click here to watch & read a write-up by Gerard Marcus. Also available on our YouTube channel. “I wanted to film Marilu and Adam from two places; the first would be outside, brightly lit, and loud, the second would be inside, dimly lit, and peaceful. These locations are a true representation of what their music does to me, both live and recorded. It’s a full on grounding machine, a peacemaker, music to make a pin drop audible inside your own head. I get chills when their natural holding of court makes every room they play completely silent, and how incredibly loud it gets with applause in their between songs. You feel the energy and blissful tension build up and you feel the release after the final notes are played. I wanted to represent this on film, in one shot, in a close up and personal way. The idea in my mind was to put a sheet of glass between us and the band, so as to keep our eyes directly on the musicians. LEYA’s debut album ‘The Fool’ is available NOW from NNA on Cassette & Digital formats. Click here to order from our Shop. We’re excited to share today that ‘The Fool,’ the debut album from avant-garde harp/violin duo LEYA is now streaming in it’s entirety courtesy of Noisey. Writer Colin Joyce picks the brains of LEYA’s Marilu Donovan and Adam Markiewicz through an email interview in order to explore the origins and processes behind their hauntingly beautiful sound. 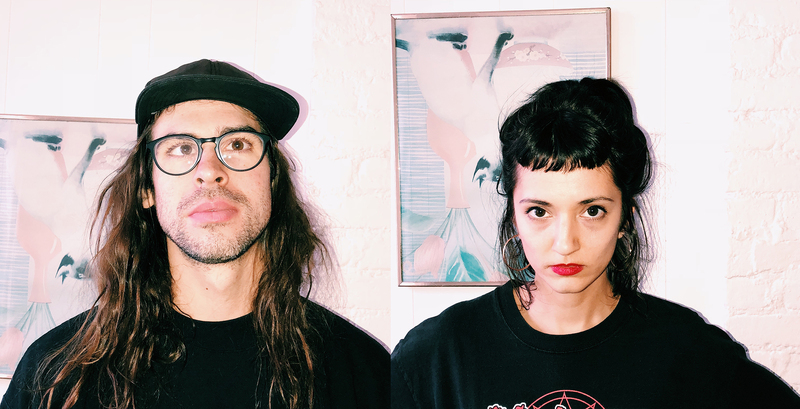 The article also debuts the voyeuristic new music video for “666 (featuring Eartheater),” directed, edited, and shot by Eartheater’s Alexandra Drewchin. Read the full story, listen to the album, and watch the video here. ‘The Fool’ is officially available tomorrow, Friday May 11th, on Cassette & Digital formats. Visit our Shop to purchase your copy – pre-orders are shipping now. Today we’re extremely excited to announce our first cassette release of 2018, the debut album by LEYA entitled ‘The Fool.’ LEYA is the new duo of Adam Markiewicz (violin, voice) and Marilu Donovan (harp, voice). Markiewicz and Donovan are New York City-based musicians who have collectively collaborated with a diverse array of forward-thinking music projects, including The Dreebs, PC Worship, Eartheater, GABI, and many more. Their recorded debut ‘The Fool’ is a collection of eight haunting tracks that experiment with alternate tunings of the violin and harp, and the unsettlingly beautiful effects that result in combining vocals with their string-based compositions. ‘The Fool’ also features three collaborative tracks that combine their sound with like-minded artists: Eartheater, PC Worship, and Sunk Heaven. Pre-orders and more information can be found here in our Shop. We’re happy to share the first single, “Sister,” in the form of a music video directed by Kathleen Dycaico. Many thanks to our friends at SPIN Magazine for premiering the video and for the thoughtful write-up. Click HERE to check it out. ‘The Fool’ is up NOW for pre-order on Cassette & Digital formats in our Shop. Available everywhere on May 11th, 2018.